Home Hockey Trade Rumors Will William Nylander be traded soon? 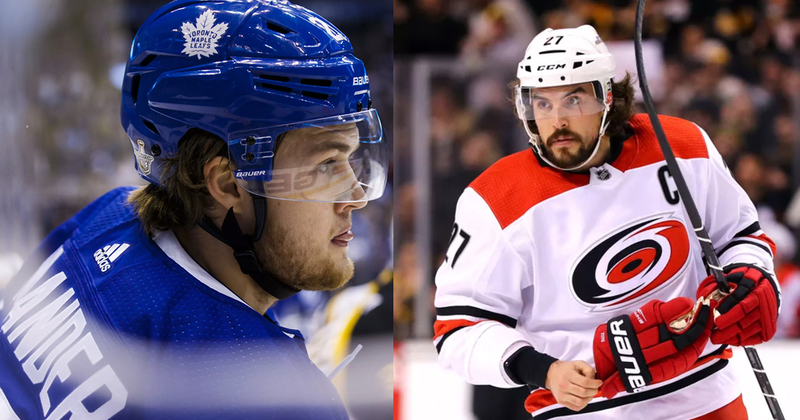 Will William Nylander be traded to the Carolina Hurricanes? Sportsnet: Mike Johnston reports the Toronto Maple Leafs are exploring the option of trading William Nylander, 22, as the restricted free agent continues his contract standoff. Nick Kypreos reported that he has heard the team’s priority remains to sign the eighth-overall pick from 2014 and that talks are ongoing. Kypreos added that some have suggested to him the Maple Leafs may be willing to give Nylander a contract similar to the six-year, $40-million deal David Pastrnak of the Boston Bruins. The Carolina Hurricanes and Los Angeles Kings are two of the teams reportedly interested in pursuing the talented Swede.